Kristina Wildeveld is a native and a lifelong resident of the Las Vegas community. Ms. Wildeveld was raised in Las Vegas and graduated from Bishop Gorman High School in 1988. After graduation, Ms. Wildeveld attended the University of Wisconsin at Madison majoring in Chemistry and English. She was attracted to the legislature and government and quickly graduated from California Western School of Law in just 20 months. After graduating from law school, Kristina started her legal career as an extern for United States District Court Judge Philip M. Pro in Federal Court in Las Vegas. From there, she took a job as a law clerk to Eighth Judicial District Court Judge Terrance P. Marren where she remained for eighteen (18) months learning the ins and outs of Family Court including Domestic, Guardianship, TPO Court, Domestic Violence, Abuse and Neglect and Juvenile delinquency. In 1997, instead of going into private practice, Ms. Wildeveld joined the newly formed Office of the Special Public Defender under the direct supervision of Michael Cherry. The office was created as a conflict office for Capital Murder Litigation. The office handled only First Degree Murder cases in which the Death Penalty was often sought. Shortly after Ms. Wildeveld joined the office, Michael Cherry was elected to the District Court bench before becoming a Supreme Court Justice. Ms. Wildeveld worked for the office for the next eight (8) years handling death penalty cases. At the time, she was the youngest Death Qualified attorney in the State of Nevada and she remains one of the few Supreme Court Rule 250 Death Qualified attorneys in Las Vegas. She first chaired and was directly responsible for many high profile cases with great success., It was during this time that Kristina Wildeveld learned the importance of service and its importance to the community. In 2005, after a successful career as a defense attorney in the public sector, Ms. Wildeveld opened the doors to a different type of law practice. Ms. Wildeveld wanted to build a unique law firm that was more concerned with a client’s well being than the fee the client was generating. Well being does not always just mean getting the client a good deal. Well being means helping the client understand the process, well being means explaining all of the obstacles that the client faces, and most of all well being means assuring the client that you are doing all that you can possibly do to get the client a satisfactory outcome. Mrs. Wildeveld has created a unique law firm that provides the client with big city experience and a small town feel. At The Law Office of Kristina Wildeveld, we understand the trauma that accompanies being arrested. 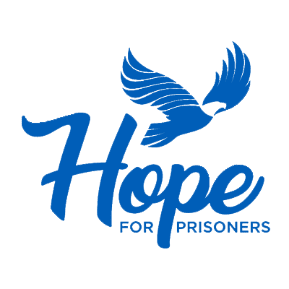 We understand most people have never had to get a friend or a loved one out of jail, or face a lifetime in jail themselves. We understand that most people do not know what to do in that situation. We also realize the stress and anxiety associated with that first visit to an attorney’s office. Usually a prospective client sits in a waiting room surrounded by diplomas and plaques while filling out an information form. The client then gets invited to an office with more diplomas and certificates and sits across a desk from an attorney while they discuss the case. This is all very intimidating. At our Law Offices, we do all we can to make a prospective client feel both comfortable and confident; and we do our best to alleviate any stress you may have about the uncertainty of the criminal judicial system. In both our Downtown and Central offices, we provide an atmosphere that is more of a home than an office. We allow clients to relax and we encourage them to ask questions until they are satisfied that they understand the road ahead. How can you tell if a lawyer is concerned about your case more than their bottom-line? When you sit down and talk with them about your case, always note what percentage of the conversation is about the fee you need to pay them. You also look to see what they do outside the office. Are they involved in their community? Do they donate their time and money to make their community a better place to live? Do they do things that help those less fortunate than himself? The reality is; if a lawyer does not care enough about the community she lives in, she probably will take the same approach with her clients. Kristina Wildeveld has been entrenched in her community for many years now and was recognized for her contributions for the community by the City of Las Vegas. Mrs. Wildeveld has served in numerous capacities throughout Las Vegas and Nevada to make her community a better place to live. Mrs. Wildeveld has been a board member for the CASA (Court Appointed Special Advocate for abused and neglected kids) Foundation for over fifteen (15) years in addition to serving on the board of the Governors’ Juvenile Justice Commission and Boys Hope/Girls Hope of Southern Nevada. In addition, she has previously sat on the Supreme Court Task Force for Juvenile Justice, the Child Death Review Team and the Foster Care Review Board. Mrs. Wildeveld is active in the Las Vegas woman’s shelter and many children’s charities. Kristina Wildeveld’s involvement in her community is an indication of how she will approach her involvement in your case. If you are looking for a Law Firm that will take the time and the interest in your case, call the Law Offices of Kristina Wildeveld.